Just a heads up...I changed my name from DollEpoch to EarthShine Doll. I didn't want to confuse anybody! 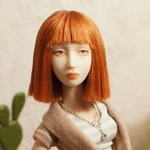 I was starting a website/getting a domain name and all that, and I found out that "Epoch" is actually a company that sells little dolls already. Just to be safe I decided to change my name to avoid possible future trouble. Doll update: Sloooow going! 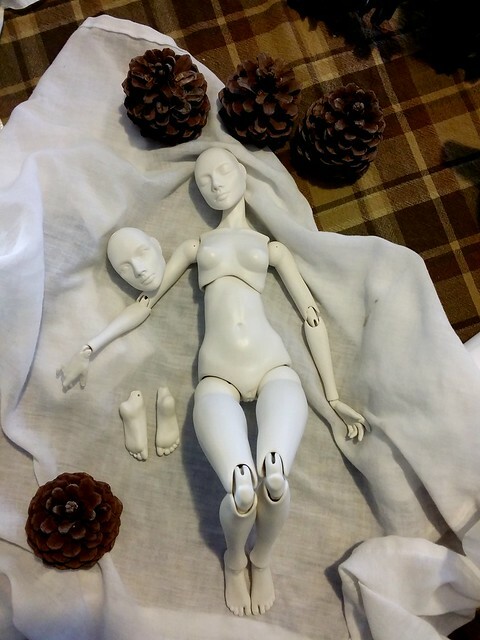 I finally have a full doll bisque firing right now, hopefully all goes well. 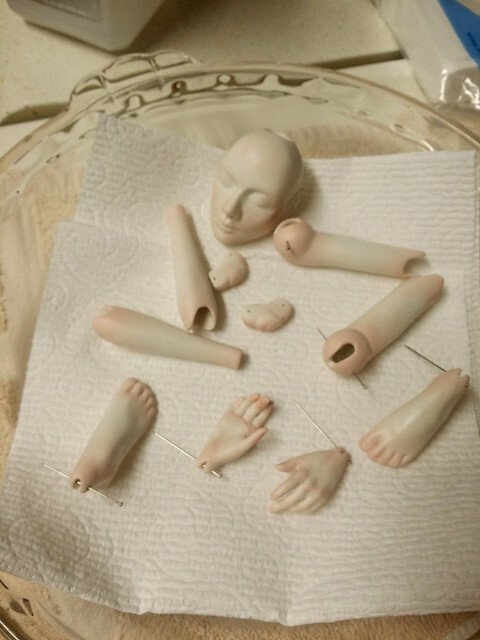 I have broken so many darn little hands while sanding! argh! pics to come! I like your new name very much! Yes, I like it very much too! Beautiful! Her face has very delicate features! I love it. EarthShine: nice name ;-) It's soooo difficult to find a brand name. Thank you all! Fawkes you are so right, I went through about 20 different names that I liked and I thought were unique, and every name seemed to be something already, eesh. The firing went well last night! Also, I made sure there was room for leather sueding this time! I have a photoshoot booked for Dec. 12th, so lookout! No more badly lit, grainy pictures. I only have a little over a week to get her fully china painted and a nice wig made! She's looking really good already, I really like the room between her toes, it's so cute! A week to China paint your doll is very tight indeed...good luck with that part ;-) I'm looking forward to seeing your doll completed. Yes, good luck, and I'm looking forward to seeing her finished too! Beautiful, I love looking a just fired pictures. I am also excited to see more pics. Ah, beautiful! Love her pose in the last photo. Thank you everyone for the crossed fingers! lol! Painting wip from the other day. 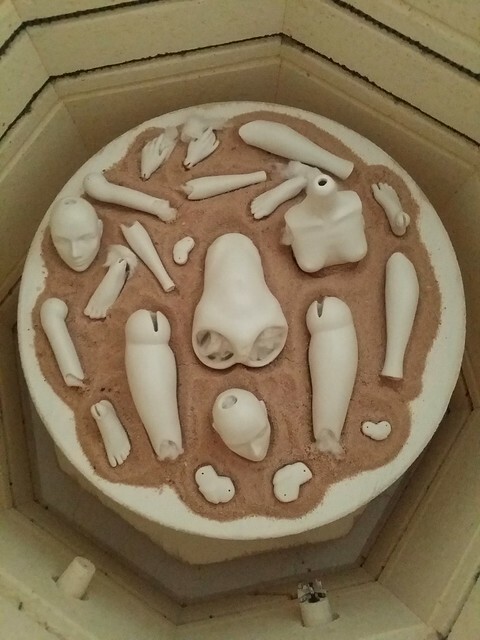 Breathing life into the porcelain! It looks good. Nice soft blushing.